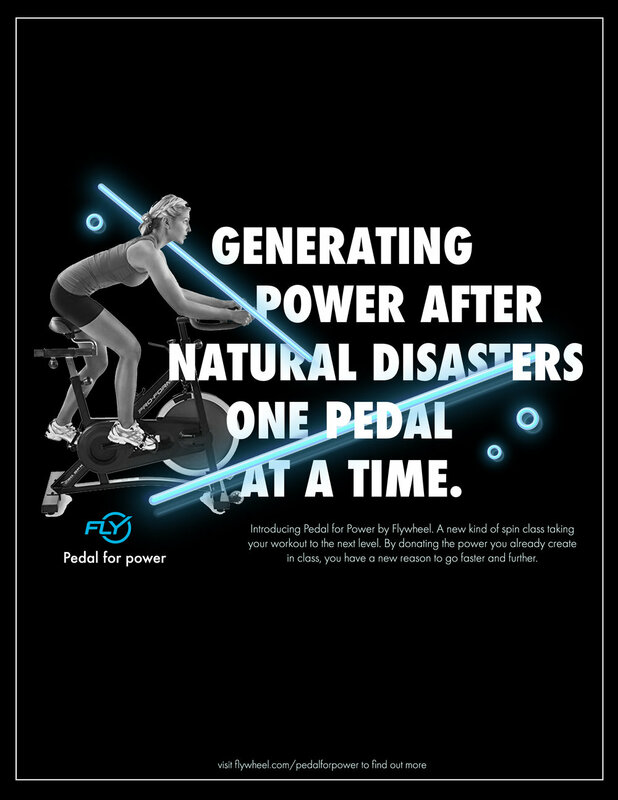 Flywheel will now be donating the power produced in class to places in need following natural disasters. Will be placed in popular magazines like Cosmopolitan and as posters in studios and heavy traffic malls. 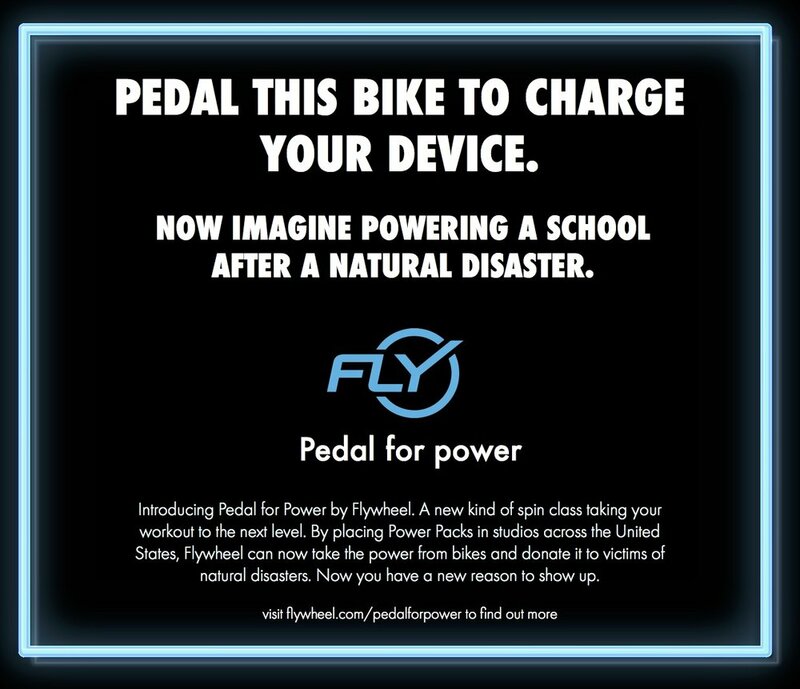 Bikes that can power your devices when you ride them will be placed in high traffic traveling areas, like subway stations and airports. 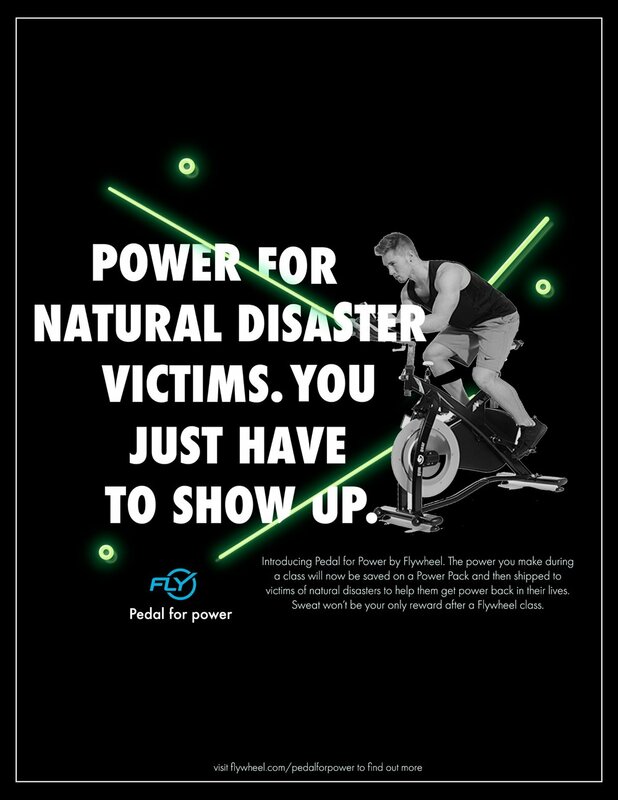 Flywheel already provides members with an extensive app to check their stats. 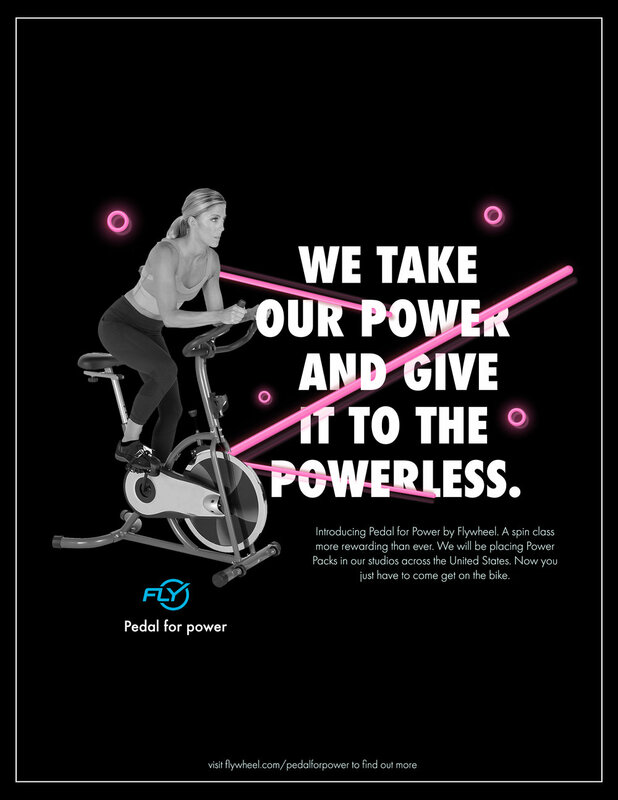 A section will be added where users can check how much power they have donated. They will also have the opportunity to post the stats to thier Facebook. Because this would be newsworthy!